Take it from me. There is an appropriate way to sit at restaurant tables, and then there is an inappropriate way. This has bothered me since I started working at Urban Flats back in Winter Park, FL. Urban Flats was a restaurant with mostly booths. 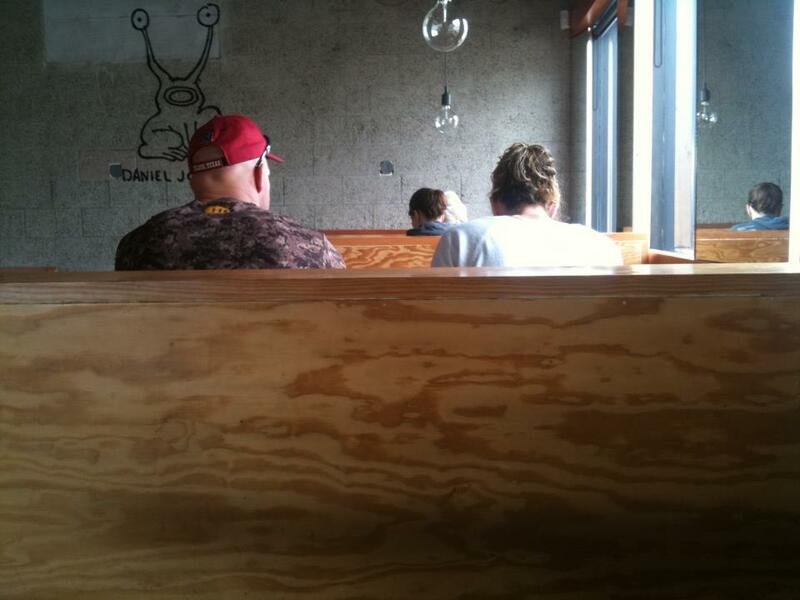 And all of the time, couples would come in and sit right next to each other in one side of the booth. Aside from this being extremely awkward – what’s wrong with the other side of the booth? Is that side not good enough for you? Doesn’t this just look lopsided? Don’t you have to crane your neck to look at that other person? Or turn awkwardly in your seat? I don’t get that at all. But at Urban Flats (and most restaurants I’ve worked in) these people awkwardly on the same side of the table would proceed to cuddle and kiss and do all kinds of gross PDA couple things while I would stand at the head of the table, uncomfortably trying to take care of them and take their order. Obviously, trying to get away from them as soon as possible. 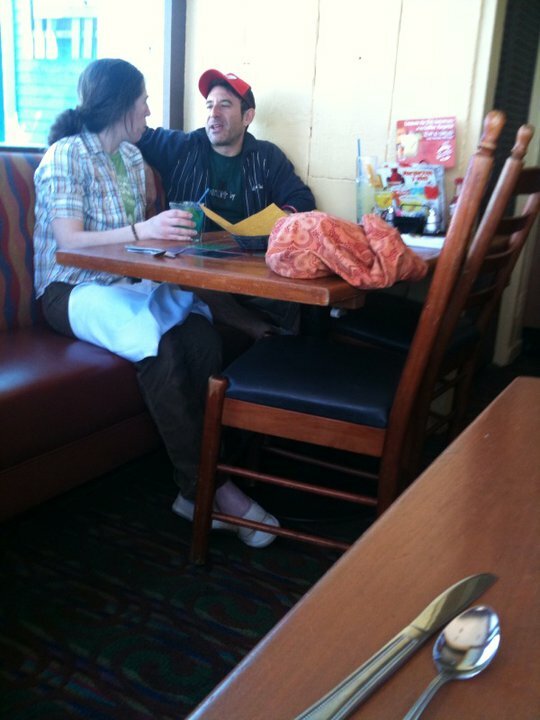 We started calling these people “Same Side Sitters”. “S3” (S cubed) for short. Same Side Sitting actually has it’s own Facebook page. And it is defined in Urban Dictionary. I never realized it was such a thing. And you know, I get it. When it’s just you and that one person that you love so much you can’t keep your hands off of them, having a really big table in between you can be a problem. It’s a huge practice in self control. Believe me, I know. I, too, have a man that I find really, really hard to keep my hands off of. And on the more practical side, sometimes restaurant tables really are just a little too wide. Especially for me, because I’m smaller than most. Sometimes it’s a noisy restaurant and I just really can’t hear all the interesting things Brad is telling me. And for me especially, in most restaurants that could be seriously dangerous. He could be asking me if I’d like to have the chicken livers topped with duck pate and a side of foie gras and bone marrow…. And because we’re so far apart and I can’t really hear him, I would say yes because I thought he said trout sautéed in lemon butter and a side of farmer’s market broccoli. And Brad would be the happiest guy in the world because I actually said yes! But I would go home hungry. Craving trout. Let me tell you – servers dread these tables. And then reassuring yourself you are not. Same Side Sitters are usually just so wrapped up in their love that its hard to see when the real world needs them back for a second to decide if they’d like that Filet Medium Rare or Medium Well. Ok, I’ll admit it. I brought this topic up today because last night Brad and I had a fantastic Happy Hour/Dinner at Rustic Canyon in Santa Monica. But when we first got there, we couldn’t figure out how NOT to same-side-sit. There were a few awkwardly placed stools that looked super uncomfortable, but the most appropriate seating arrangement was us both on the bench side of the cocktail table. And having had this conversation for almost five years now, it was almost painful admitting we had to be those people. So if you ever find yourselves in an similar unavoidable “Same Side Sitter” situation, just breathe and relax. I have put together some Same Side Sitting rules to abide by to ensure everyone is happy and comfortable. Always acknowledge your server’s presence when they approach. Simply answer their questions and let him or her get away as soon as possible. Hand holding is perfectly acceptable if you cannot bear to stop all physical contact when your server approaches. Us servers don’t want you to not get any after your dinner-date!! We just really don’t want to be witness to it. Always remember, you go to restaurants to EAT. Look at the menu when you sit. Order something that looks delicious. Ask your server to space it out to give you more time. But don’t get so wrapped up in each other that you forget what the point of going out to eat is. Aren’t you hungry?? Have a plan for after the food has been ordered and eaten. You aren’t really planning on sitting at an empty table for two more hours, right? Go! Be adventurous! Take that cuddling somewhere you can make it count! Good luck to you!! And if you just simply can’t keep your hands off each other throughout your meal, at least think of your poor server as you are signing your bill. Throw them an extra few bucks for putting up with your PDA and the super awkward situation. So there it is. How to survive Same Side Sitting. Good luck out there, folks. And remember – utilize all sides of the table when possible, for your server’s sake. You wouldn’t want to be a S3 now would you? Pingback: Kevin & Bean Poll: Same-Side-Booth-Sitters – Annoying Or Ok? 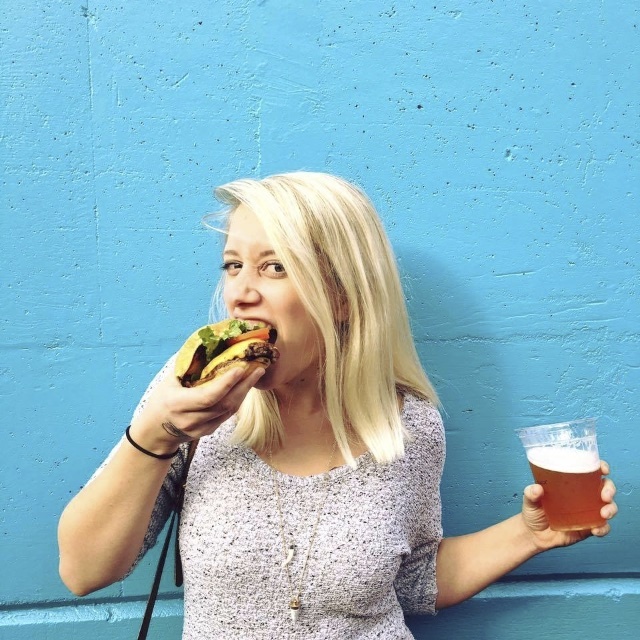 Pingback: Same-Side-Booth-Sitters – Annoying Or Ok? I’ve read a few posts from people that can’t stand side-sitters. What I basically pull from them is that they are typically unhappy in their relationship. Happy couples actually WANT to be near each other. I know it’s a strange concept, but I enjoy time with my best friend. 15 years of marriage and we still dance in the isles to grocery store music. Whenever we see (most) other couples that obviously don’t have what we have, it makes us sad. I am the 1%! Thanks for reading, joomadbro, and I love that after 15 years of marriage you and your significant other are still so happily in love! If you read some of my other posts, you will see that I, too, and happily married and head over heels in love with my husband. We just go about showing our affection in different ways. AND we both work in the restaurant industry where sometimes a few overly affectionate (for public places) couples ruin it for the whole bunch. I’m sur when you are same-side-sitting with your best friend you are still considerate of the people serving you. This is why I thought it would be fun to give some guidelines for when you are same-side-sitting so if you enjoy it, you can do it without making anyone uncomfortable. I hope you and your significant other enjoy many, many more years of cuddling and love!